The Acadian Coast – part 2 | Turning my world upside down! There are so many pictures that I had to split this post in 2. 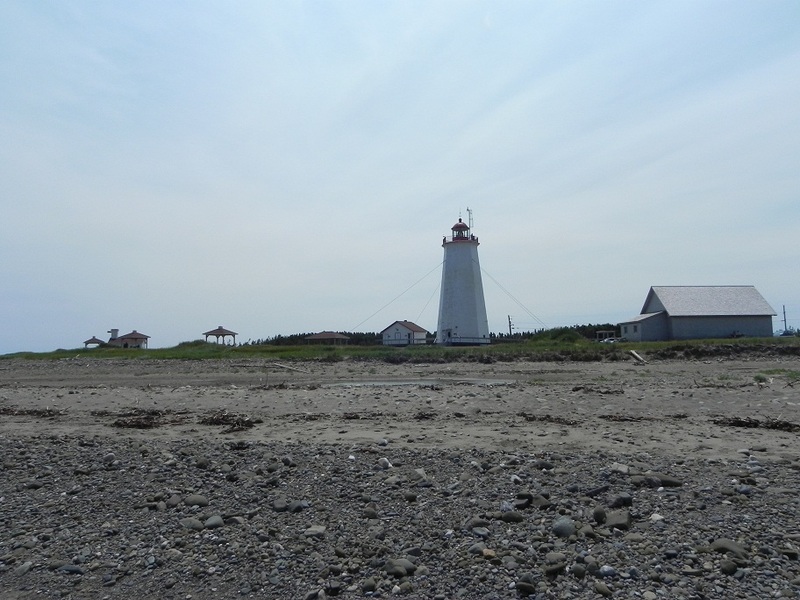 On Tuesday, we drove to the top eastern tip of the province, Ile Miscou, for a tour. On the way, we stopped in the neatest café. It was an old house that was part art gallery, part student coffee house. I could sit there for hours if it was in Ottawa! I almost wish I could run a restaurant like that. I had a great chai latté while Leon had a coffee and muffin, and off we went again. The island of Miscou has a nice lighthouse, but what was more of interest to us were the bird nests on the way there. 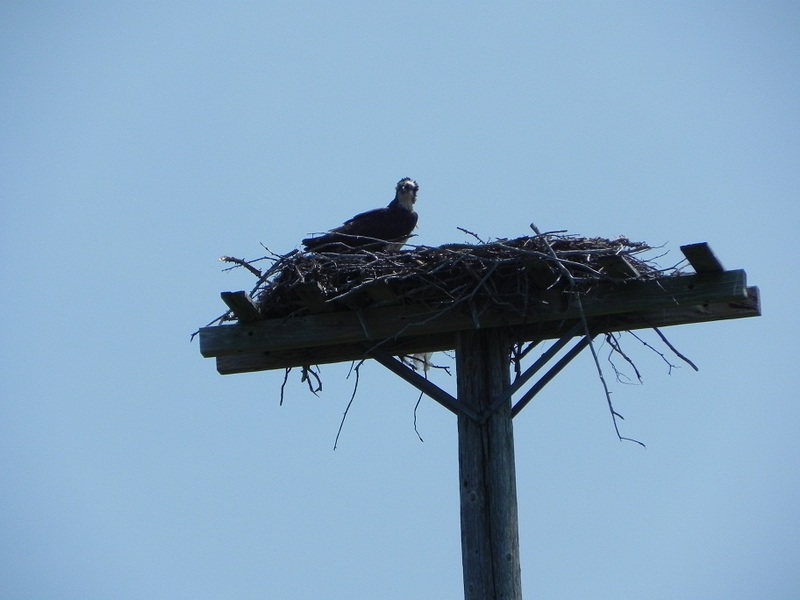 They are perched atop tall poles and look like eagle’s nests. We found out they are ospreys’ nests. We also stopped to look at the peat bogs. Peat is an important crop in NB. We walking on the boardwalk and read the interpretive signs. It’s amazing what grows in our country and we never know about it! Lunch was a simple cracker with peanut butter snack, served with a clementine. Time enough for gourmet leftovers at dinner. We stopped to camp in Escuminac Beach, a private beach and campground with a lovely view. 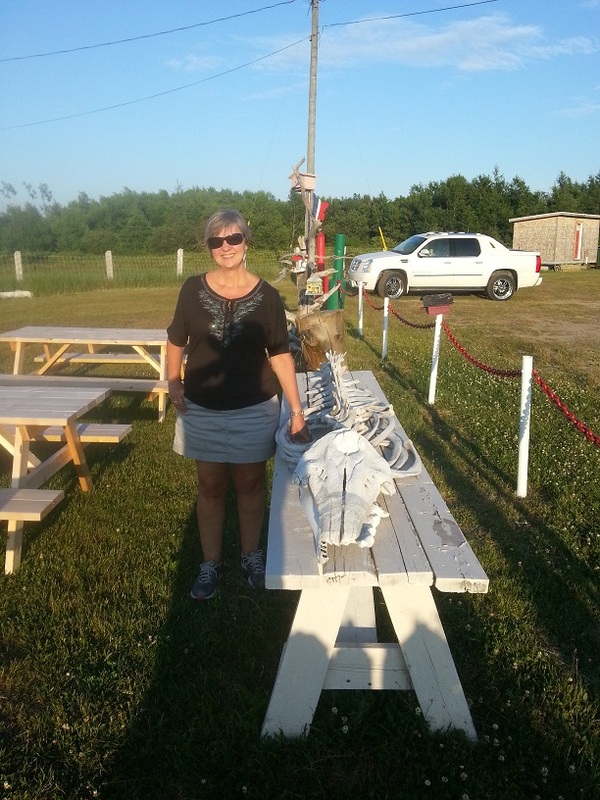 The owners were in the middle of shucking crates of clams from PEI. We also noticed 2 very interesting skeletons – one from a beluga whale, the other from a sperm whale. Dinner was eaten late, after a long walk on the beach. 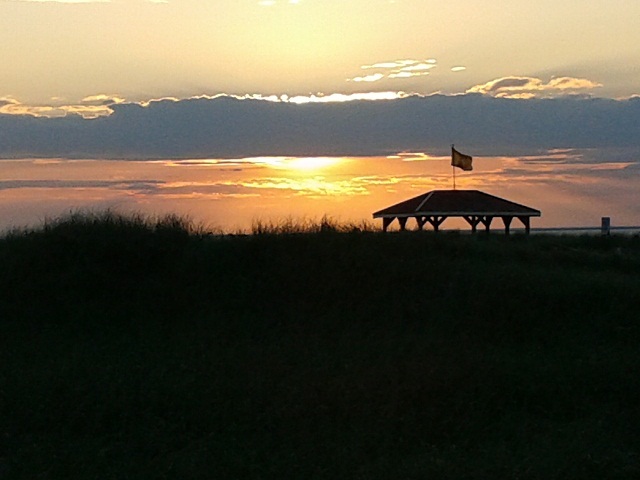 The wind was brisk, so we sat under a blanket until sunset was over, then ran inside to escape the mosquitoes. Unfortunately, I didn’t sleep very because of the constant buzzing from the insects and my fear of being bitten yet again. In the morning, I was slapping away at the mosquitoes and woke Leon up by 6am. Sorry Leon! 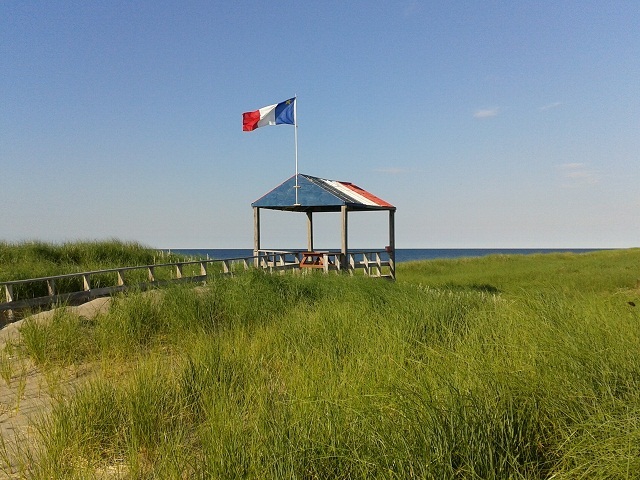 Anyway, we were going to drive to Shediac Beach and stay there for the day, but I’d had enough of the bugs, so we drove straight to Nova Scotia. Hi You are providing the encouragement I need to visit that part of my Acadian ancestral homeland again…it’s been over 20 years. Thanks for the vivid bibliographic.